Am I Up For This Challenge Or Should I Return Him To Breeder? We bought a 16 week old Aussie pup last Friday. He seems calm and friendly with people and other dogs. However, I am haunted by memories of my Aussie rescue from 9 years ago; this dog was never safe around people or other dogs. He was a continual management issue until the day he died (and yes, I hired trainers and had him in obedience and agility--he even had earned his Canine Good Citizen Award!?!). I'm absolutely confused by why my family (my husband and our 2 boys) chose this little Aussie... why didn't we pick a Lab or a Golden Retriever? So, I'm seriously considering returning him to the breeder. 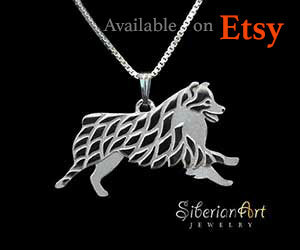 We live in a CROWDED suburban neighborhood filled with children of all ages and many other dogs. So far he is outgoing with everyone, but I am PARANOID that even with LOTS of socialization and training he will turn into an adult that is aggressive and suspicious of strange humans and dogs. Obviously, I carry baggage from my failed attempts to re-socialize the rescue dog, but I also wonder if I have gotten myself into way too much with this challenging breed. I am meeting with a trainer tomorrow to get some advice based on his temperament (which I know can change when he hits adolescence). I'm freaking out. I'm probably not a good leader in this state of mind. Is it better for this pup to stay with damaged me, or better for him to go back to the breeder and try to find a new home (she doesn't want to keep him--I guess his neck is too short). Comments for Am I Up For This Challenge Or Should I Return Him To Breeder? Your rescue dog was a totally different situation. You most likely do not know the ALL-IMPORTANT little details of his early months. You say that your new pup is good with people and other dogs. If you continue to socialize him every day and if you use only positive reinforcement (no Alpha rolls! !, no punishment), then he will continue to be a good boy. 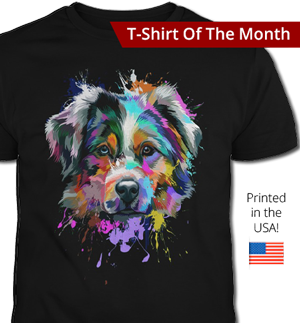 The first six months are so very crucial in determining a dog's outlook on the world, on people, and on other dogs. 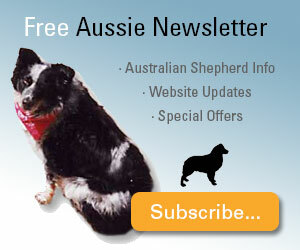 When raised with love, Aussies can be the most loving, loyal, and best all-around family dogs there are. So what he will be like depends to a very great extent on how you treat him. 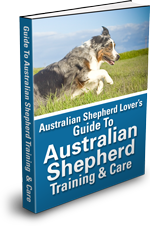 Aussies were bred to be firm but gentle herding dogs (think about dealing with skittish, sensitive sheep and little lambs) who can analyze and make decisions on their own about the best way to protect and care for their herd/pack. Your family is his pack. He wants to do his best, and your job is to show him how to do that. First of all you may have to change. The dog may already be feeding into your anxieties. My Aussie is anxious around new people and we have had negative experiences with her. Squeezed out of her harness and ran around Eglington road in rush hour traffic as one example. This was at the vet. She stopped wanting to go on walks so I took her to the dog park. She loves it, burns off energy and has only had a few negative experiences, mostly with other dogs, she stands up for herself and behaves well around others. She is a hearder, so I don't like little kids at the dog park. However, she hates anything with wheels, bikes, vacuum, lawn mowers etc. I have learned to live with her and love my bugsy girl very much. But like you I had to change during stressful times. We carry her in to vet, I leave the dog park when kids come in, I ease her in when new people come over and so on. There is a solution to every behaviour. It sounds to me like you haven't given this little guy a chance. From what you say, he has been good. Don't judge him by another dog you had. Aussie's need exercise and a job. Are you able and willing? There is a big difference in a dog from breeder and a rescue. Have you or family met the sire, dam? This in my opinion has proven o be best clue as what to expect from a puppy. 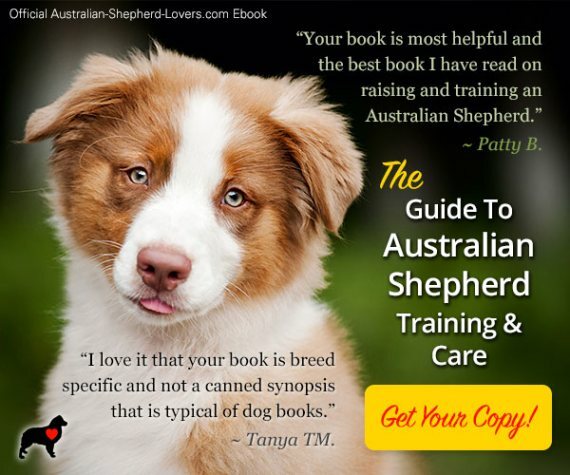 Your experience with rescue Aussie is very different than what I have seen from most Aussies and not realistic to expect a new puppy will be same. We have two Aussies and frequently take care of a third,owned by my daughter's family. They are the best dogs I have owned! We have had Lab, terriers, Collie, Yorkie, and Schnauzer. The Aussies are best pet and best with children of them all. 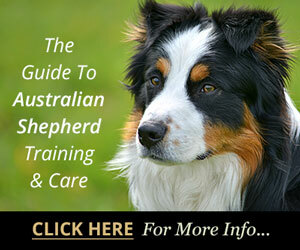 We understand Aussies and are careful to not allow the herding instinct to include people, children. I am more concerned with your fear. 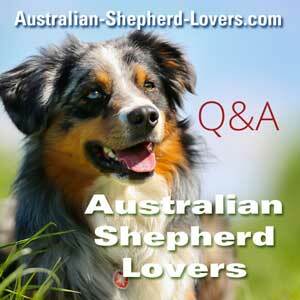 Aussies are very perceptive and your fear may generate negative consequences with the new pup. I prefer a pen Aussie over a lab, but for you it may be a better choice. Each dog is their own. It's important to socialize him as early as possible. That includes many different experiences then promptly reward him for good behavior, and correct as needed. Experiences should include people of various ages, just walking him at different public places is a great start, then build it from there, perhaps Social gatherings, picnics, and crowded hiking trails and so on. If you don't spend time with him, return him while he's young, that will help his chances of finding new home, and also, have a chance to learn the things mentioned above while he's still young. The more time you spend with him, the better your relationship will be. Good dogs just don't happen, they are nurtured and shaped though experiences, and that includes you! Every dog is different and your paranoia will be the downfall to this dogs success. Approach this with a positive outlook and I can guarantee the union with you and the aussie and everyone else will be wonderful. I guess I was hoping for a little more compassion, but I get it--you pretty much all agree my fears (which I have been trying to control) are going to rub off on the dog. 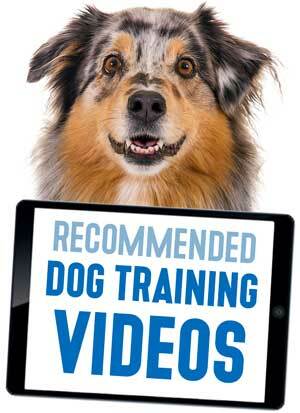 Thank you for your feedback; based on your responses the pup will be better off in a more confident household.